Building a new home presents the opportunity to design your dream dwelling from scratch. From the size of the house to the number of stories, to the paint color and window styles, a custom-designed home is built to meet every need a homeowner sets out to fulfill. When deciding to design a brand-new, custom home, it is important to consider the building costs associated with such a project. The National Association of Home Builders provides a detailed breakdown of the average cost (nationally) of constructing a single-family home here. Read on to learn about the building costs associated with custom-built homes, the factors to consider when deciding to build new or purchase an existing home, and an overview of the home building process. To explore examples of our work, visit our new home gallery. No home building process is complete without considering the pros and cons of building new vs. buying an existing house. With an existing home, your purchase has context in the form of previous home sales and comparisons to similar homes in the area. This data allows homeowners to identify trends that could help them sell the house at a profit in the future. Such information is not as easy to determine with a new build. In general, building costs for a new home are greater than the costs associated with purchasing an existing one, but building new allows the prospective homeowner to customize based on needs and priorities. Architectural fees, building permits, and site costs must be added to the actual construction cost. Perhaps the most compelling argument for building new is the freedom to pay for exactly what you want – nothing more, nothing less, depending on your budget. That means the floor plan, cabinet design, materials used, and general style of the house are all up to you. The opportunity to make such decisions means you will not have a finished basement you will never use or a deck that is too small to suit your needs. 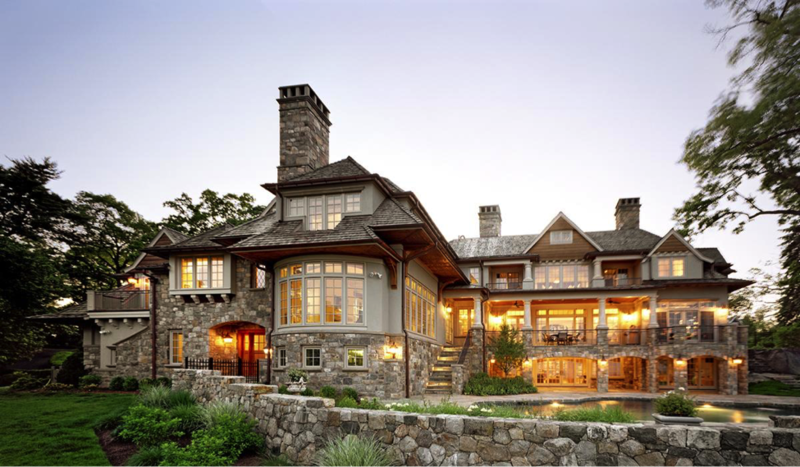 Building new provides the opportunity to truly construct your dream home. Less maintenance to perform: Since a new home is built with new materials and furnished with new appliances (that are likely under warranty), there is considerably less upkeep and repair or replacement costs needed to keep things such as your HVAC system running smoothly. Energy efficiency is up-to-date: Older homes are usually comprised of dated appliances and windows, driving up the cost of energy bills. Building a new home presents the opportunity to greatly reduce energy bills, thanks to the increased efficiency of new windows, materials and appliances. More square footage: While new home building costs usually outweigh the price tag for an existing house, they are also typically larger from a square-foot perspective than the homes of the past. Builder Magazine estimates that the per-meter cost of a home built today is actually 30% lower than a home built before the 1960’s, so those who build new can actually get more square footage for their money. If new construction sounds more appealing than embarking on a house hunt among existing homes, it is important to learn about the building costs you must consider when constructing a brand-new home. Size: How many square feet are you considering for your new home? 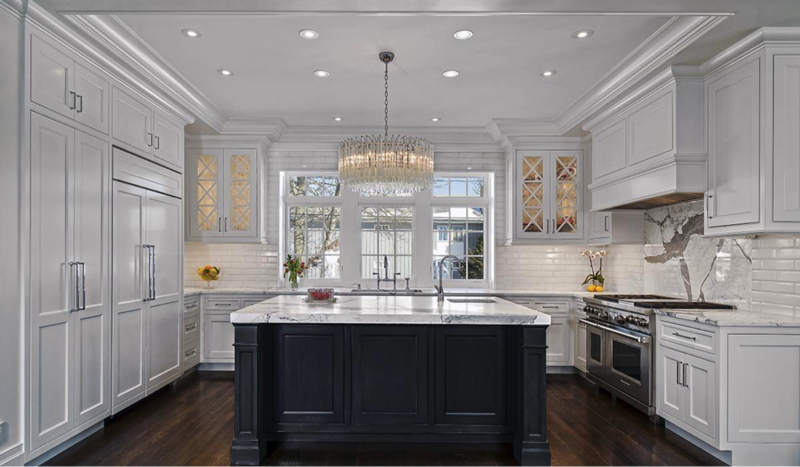 Materials: Incorporating details like granite counters, crown molding, and hardwood floors will increase building costs. Design: Rounded walls, curved staircases, highly customized floor plans, and more will drive up the home’s price tag. Geographic area: Labor and material prices vary greatly in different parts of the country. National average numbers may not reflect your area costs. Site considerations: Building on your particular site presents many factors. For instance, custom waterfront homes may require higher rated windows and doors be used in construction. Upgrades: Having the freedom to choose every detail of your home – including the choice of paint, carpet, flooring, adding an extra half bath – does come at a premium. Custom home design presents unlimited options, allowing the homeowner to create a dwelling that meets their functional needs and reflects their aesthetic sensibilities. Custom home design requires the services of a residential architect, who will take the client’s dream home from blueprint to reality. Given the boundless opportunities for modifications, it is difficult to pinpoint the average cost of a custom home. HomeAdvisor estimates the building costs associated with this type of construction range from $350,000 to over $1.5 million plus. Prefabricated homes are manufactured off-site and then assembled on location. The ability to customize the home is limited, but depending on size, the building costs will be substantially less than a custom-built house. HomeAdvisor estimates the cost of building a prefabricated home ranges from $50,000 to $300,000, depending on size. Choosing a new home in a housing development can mean a high degree of customization, but potential homebuyers are often limited to a library of floor plans and locations, according to HomeAdvisor. Development communities are priced across the spectrum, from first-time homebuyers to empty-nesters and retirees seeking luxury homes later in life. The online home improvement marketplace estimates the building costs associated with development homes to range from $50,000 to $1.5 million plus. Whichever type of dwelling you decide to build, the material and labor expenses in your area will affect the total building costs for your new home. And, of course, your must factor in the cost of the lot. Land prices must be considered and factored into the overall cost of your dream home. Here is a breakdown of just a few of the building costs you should research. Shopping for the right lot in your preferred neighborhood may drive up building costs, as well as dictate some details of your home. For example, building on a high-end lot may mean following requirements for minimum square footage, special cladding, roof pitch, and other details. Once the lot is chosen, the land may require prepping for construction. Even if the lot is build-ready, a new home requires a structurally sound foundation, and that typically calls for excavation. Raising a foundation on marshy or flood-prone land will increase expenditures. The more square feet a home covers, the higher the building budget will be. Unusual shapes will also cost more to build – according to HomeAdvisor, the more corners a house has, the more the expenses to factor in. Durability should be the main factor in determining the kind of roof that will shelter your new home. Specialty roofs can truly add to the curb appeal of a house, but will cost more to install and maintain than asphalt options. Structural engineering is an important part of any building project. The taller the house, the more design work and construction, therefore expenses will be higher. The same can be said for high ceilings. Amenities like outdoor kitchens, large decks, and pools add to the budget, but they can also increase the value of your home when it comes time to sell. The type of appliances, fixtures, and finishes that complete your home must be factored into building costs. Research the brands of appliances and types of fixtures and finishes you would like to see in your home as you develop your budget, since these expenses can add up. Custom homes almost always change and evolve in the design stage with your architect. It’s important to have an open dialogue of what things cost as you make requests and upgrades and you should be prepared to communicate your priorities to your architectural team throughout the process. A professional architect can help you to maintain your budget. First and foremost, decide on your budget. This number will help guide the building process from the time the first sketch is drawn to the installation of the final appliance or fixture. Once the budget is finalized and property is purchased, research and hire a residential architect to design your dream home. The architect will work with you to develop plans and designs, make adjustments as necessary along the way, and help you vet and hire a general contractor and construction team. Learn what else to expect when working with a residential architect. Prior to construction, ensure you have obtained the proper permits and inspections as required by the municipality in which you are building. You may also want to consider purchasing construction insurance before the groundbreaking. As soon as your home is built, you’ll need a final inspection with your town or city’s building department – this is necessary to ensure you can move into your new home! Round out the construction of your new home with landscaping projects. Depending on the region and climate, landscaping may include planting trees and shrubs, laying sod, and designing and installing decorative walkways. Finally, enjoy living in your new space, designed specifically to fit your needs and aesthetic sensibilities.